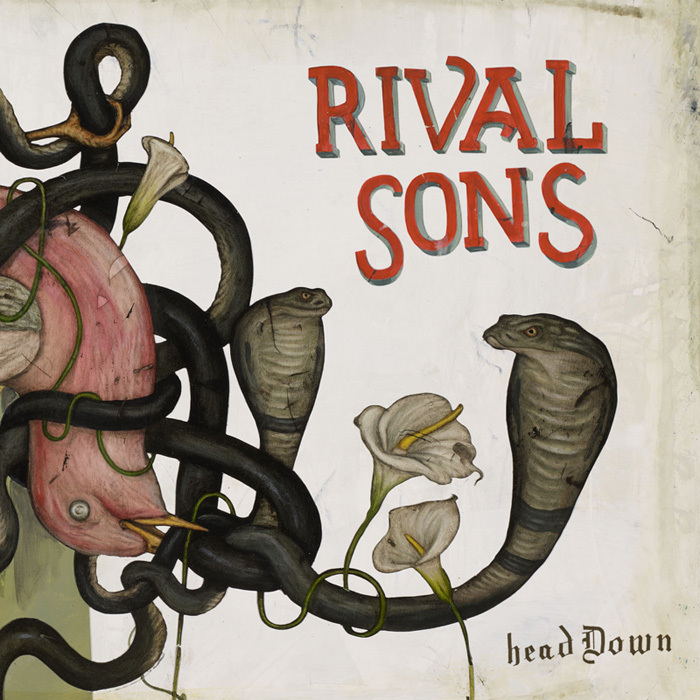 Rival Sons have announced that the title of their brand new album will be ‘Head Down.’ The album will be the follow-up to their 2011 breakthrough album ‘Pressure & Time.’ ‘Head Down’ was recorded in Nashville, Tennessee with Grammy-nominated producer Dave Cobb (Jamie Johnson, Shooter Jennings) and Grammy-winning engineer Vance Powell (Jack White, The White Stripes, Kings Of Leon). The artwork was created by Jason Holley (Josh Ritter, Ray Lamontagne). ‘Head Down’ will be released in late August via Earache Records.